Racing Victoria takes the education and training of licensed participants very seriously. Below is a series of resources to assist Trainers, Owners, Veterinary Professionals and Jockeys to ensure that a horse’s health is held in the highest regard. The adequate education of stable staff in disease prevention, identification and control procedures. Good drainage and manure management help prevent insects like mosquitoes, midges and flies from breeding. Control rodents and keep food in rodent-proof containers. Provide a full course of vaccinations and regular boosters for diseases like tetanus, strangles and equine Herpesvirus. Use a fresh needle and syringe for every horse when vaccinating or giving medications. Isolate new arrivals from resident horses for 10 days or introduce horses only from premises with known high health status. Pay particular attention to horses that have come from large sales, shows or horse breaker’s yards, have been transported over long distances by commercial transport or recently returned from events. Isolate horses at the first sign of sickness until the contagious disease has ruled out. Handle, feed and water sick horses last or use separate staff and equipment. Do not move sick horses except for veterinary treatment or under veterinary supervision. Avoid the use of communal watering troughs and other equipment when away from home. Contact a veterinarian or government officer immediately if unusual sickness or unexplained death occurs, especially if it is something you have not seen before or are unfamiliar with. If horses are stabilised, take daily temperatures. Fever immediately suggests the presence of disease. Group horses, by use and ages, in as small groups as practicable, e.g. keep yearlings separate from older horses and pregnant mares, and competitions horses away from stay-at-home horses. Keep records of inward and outward movements of horses so contacts can be traced in the event of a disease outbreak. Make sure that each horse can be individually identified. Regularly clean and disinfect stables, equipment and transport vehicles. Remove as much soil and organic material as possible before disinfecting. Clean, and then disinfect equipment such as tooth rasps, stomach tubes, endoscopes and twitches between use on different groups and/or individual horses as appropriate. 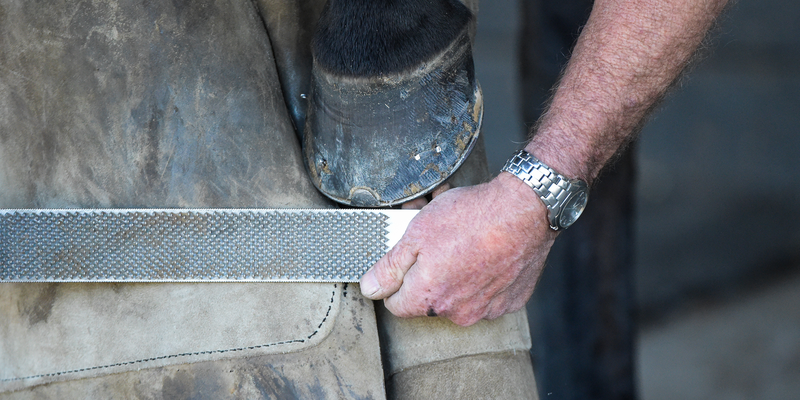 Wash hands between handling groups of horses and use separate protective clothing and footwear when handling any sick horses or, handle them last. Keep boundary fences in good condition. Barriers such as double fencing and tree plantations increase perimeter security. Avoid locating horse operations in swampy areas – or close to bat colonies or intensive piggeries – minimise risks posed by some viral infections of horses.